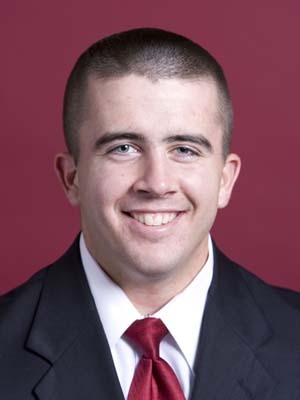 The crown jewel of the Kentucky draft class is without a doubt Pleasure Ridge Park alumni Zack Cox, currently a third baseman for the University of Arkansas. Cox is ranked by many as the best college bat in the entire draft and should last no longer than the first 10 picks. Several mock drafts have him going to the Mets at No. 7 overall. Since Cox is a draft-eligible sophomore he is considered a tougher sign than your average top-ten pick and could be pushed back to college if a team isn’t willing to meet his reportedly high contract demands. Since former University of Kentucky senior left-handed pitcher James Paxton was drafted in the supplemental first round by the Toronto Blue Jays in 2010, Paxton has been busy. First he shocked the baseball world by returning to UK for his senior season, then he became the subject of an NCAA investigation after comments from a Blue Jays official in a Canadian newspaper implicated him of violating the NCAA’s no-agent rule, sued UK for holding him out of competition and finally left school to prepare for this year’s draft in the independent American Association. After all that, Paxton appears likely to end up where he started as a supplemental-round pick. He could slide to the second round after missing so much time and would need to grant his home-country Blue Jays permission to draft him for a second consecutive year. Danville native and former Eastern Kentucky University pitcher Patrick Cooper was selected in the Arizona Diamondbacks in the 34th round in 2009, but opted to follow through with his commitment to Bradley University, where he struggled at times as a junior. Cooper was a Cape Cod League All-Star last summer and could improve his draft status to the first 10 rounds after improving down the stretch for Bradley. In his last three starts Cooper, a right-handed pitcher who touched 93 mph with his fastball in the Cape, surrendered just four earned runs in his last three starts. Paducah native and Michigan St. junior shortstop Jonathan Roof will look to follow his two brothers, Eric and Shawn, into professional baseball. Roof was an All-Big Ten shortstop for Michigan St. in 2010 and profiles as an excellent defender. Baseball America projects Roof to go somewhere around the 10th round.